The launch date of Nokia 9 PureView has been postponed to next month until Mobile World Congress (MWC) in Barcelona. The highly anticipated Nokia 9 PureView with the world’s first penta-lens camera was expected to debut later this month. However, this isn’t the first time that the Finnish company has postponed the launch date. Nokia 9 PureView was also in news last year but its launch was delayed owing to the issues in the production line. The Nokia 9 PureView is expected to have five camera sensors at the back and feature a notch-less design along with an in-display fingerprint sensor. HMD Global expects to sort out its production line issues soon and launch Nokia 9 PureView in the month of February. Earlier last month, a well-known leakster, Evan Blass aka Evleaks, has posted a picture of what looks like a press image of Nokia 9 PureView. The images suggest that the new penta-lens phone has been code-named ‘Beholder’. As per the posted picture, Nokia 9 PureView will have thin-bezel and a flat display. The images also reveal the lack of display notch. Further, according to the buzz, the phone will have a metal frame with glass panels covering the front and back sides. The Nokia 9 PureView render highlights the phones penta-lens camera with two additional cut-outs. One cutput is for the LED flash and the other one is the proximity sensor. There has been no leaks regarding the specifications of the PureView’s camera system but there are enough speculations to suggest that the phone will have a Zeiss branded camera sensors in the circular form. There have been no specification leaks but some past rumours suggest that the Nokia 9 PureView will have a 6-inch display and an 8GB of RAM with 256GB of onboard storage. It will be powered by Snapdragon 845 chipset and will be water-and-dust resistant. The leak also suggests that the smartphone will be a part of Android One group of phones and will come with Android 9 out-of-the-box. The smartphone could be launched in January 2019 as per the render that surfaced last week. Meanwhile, Nokia 9 PureView won’t be the only launch at MWC. The Finnish mobile company is also looking to introduce Nokia 6.2 and Nokia 8.1 Plus in India. 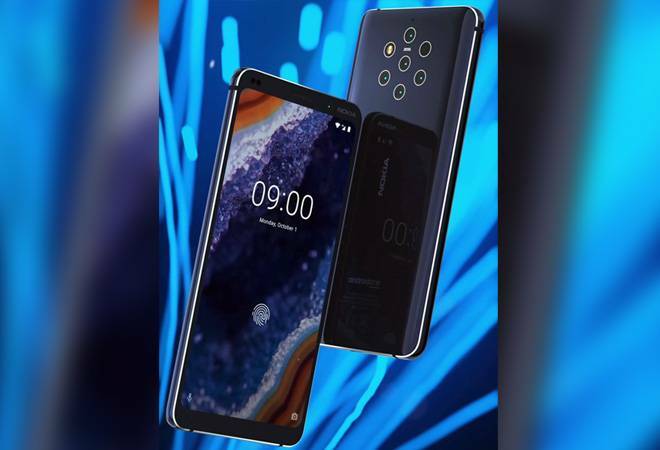 The Nokia 6.2 and Nokia 8.1 are expected to sport a punch-hole display with a dual camera set up. Nokia 6.2 is also said to have a Snapdragon 632 SoC, coupled with 4GB and 6GB RAM options and a 16-MP primary camera sensor.